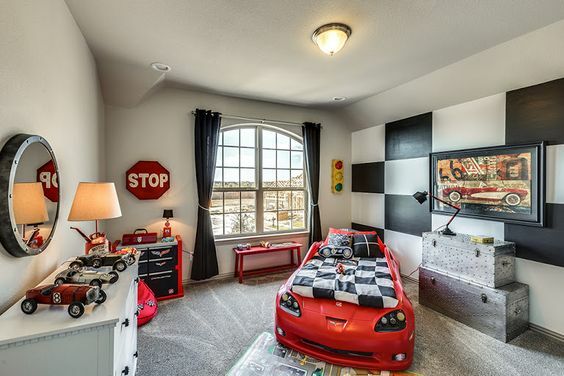 Decorating a kids’ room is all about fun; so if your child is obsessed with all-things four wheels or your pre-teen counts down the days until he or she gets a license, why not create a cars-themed bedroom that will spark their imagination and pay homage to their interests? The good news: There are infinite ways to decorate a car-themed room, from the simple and subtle, to the over-the-top and extreme. 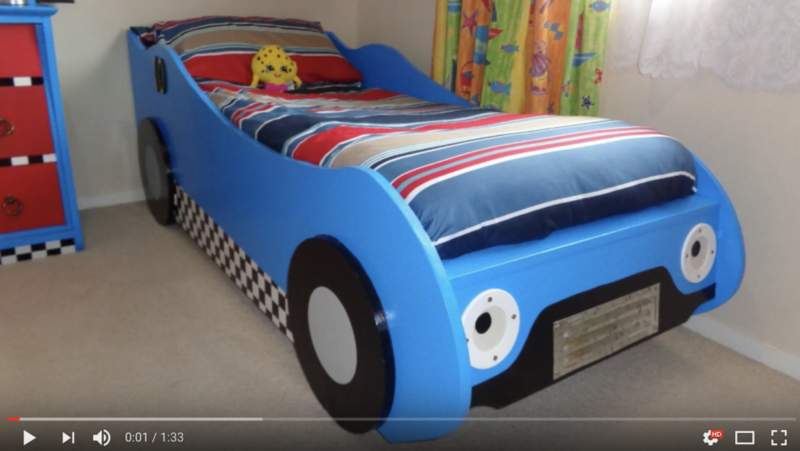 We’ve rounded up some of the best tips and ideas for creating the car bedroom that’s just right for your (or your child’s) style. Step 1: Choose a style direction. 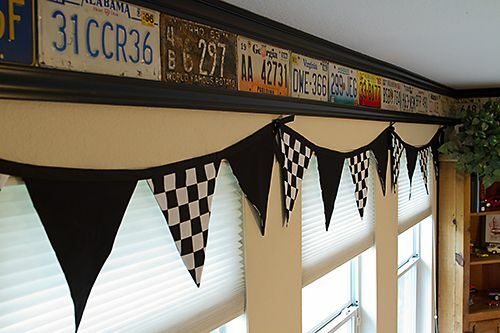 Choose a race track theme, with Nascar-inspired designs and colors. Stick to a vintage cars theme, and use midcentury modern furniture to complement the retro feel. Pick a vehicle make or model that you love most, and choose decor that depicts it. Coordinate with color. Tie together a variety of themes by sticking to one or two underlying hues. 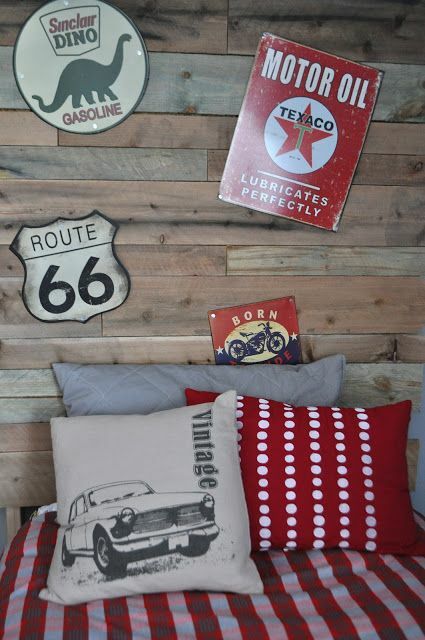 Get inspired by mechanicals and go for an industrial themed room with car-themed accessories and accents. 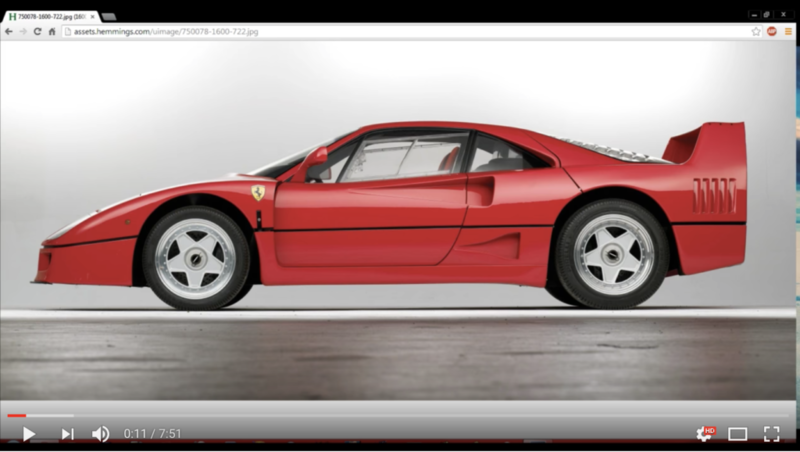 Complement traditional interior design with nods to early car models. 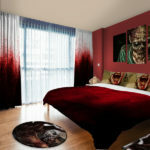 Another place to find visual inspiration for your car bedroom is Google images — typing in search terms like “car bedroom,” “vintage car bedroom,” and “NASCAR bedroom” turned up dozens of creative results. One final spot to try is Instagram. 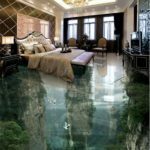 This visual social network offers a constantly updated stream of images, which you can easily sort through by searching different hashtags. At the time we wrote this blog post, the hashtag #CarBed turned up more than 15,000 images, for example. Step 3: Bring the room to life. Once you have your direction narrowed down, it’s time to start thinking about which elements of the room you want to use to bring the theme to life. Here are a few ideas. If you consider yourself handy or enjoy a do-it-yourself project, consider building the bed yourself. 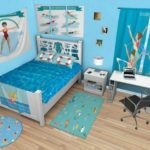 There are a few dozen instructional YouTube videos cover a variety of different styles and skill levels, and building it yourself also gives you the chance to customize things like the size, style, and color to you or your child’s liking, If your child is old enough, have him or her help you with the building process. Ready to take on the project yourself (or simply want to see what’s involved)? Here are a few of the most-informative YouTube videos we found. If you don’t have a ton of experience building thing from scratch, or are short on time, and don’t mind spending a bit more, you’ll also find plenty of pre-assembled cars beds, Most big box retailers and large online furniture stores sell a version of a youth cars bed on their websites. 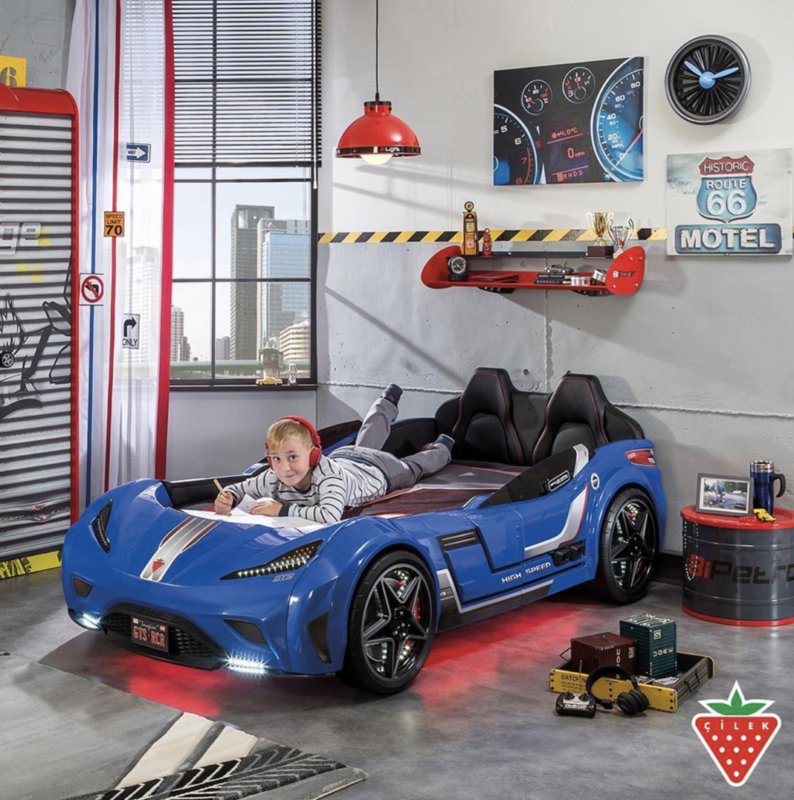 Prices generally run from just over $100 for a toddler-sized car bed, to upwards of $2,000 for a twin-sized car bed with all the bells and whistles, including racing decals, working doors, built-in race car sounds, and underbody LED lights. 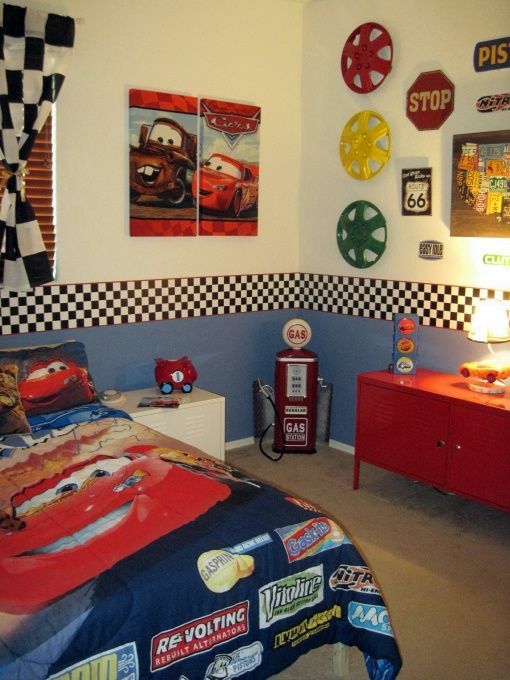 Another way to give your bedroom a cars theme without purchasing a whole new bed frame or building one from scratch is to choose car themed textiles like bedding, rugs, and curtains. 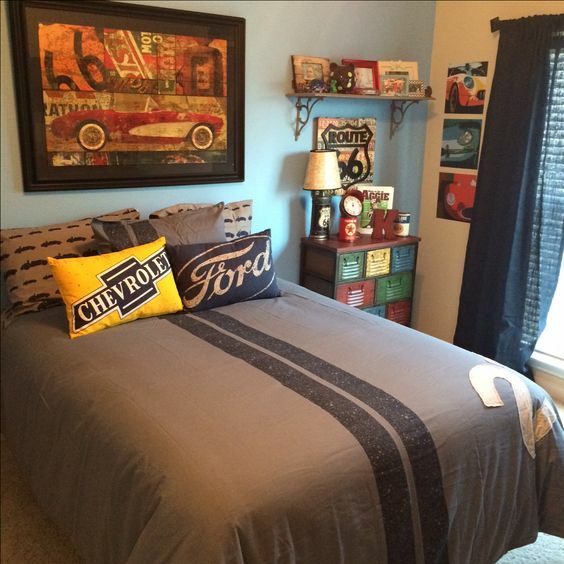 Vision Bedding offers dozens of car-themed bedding designs, from vintage-style cartoon motifs, to photos of race cars and race tracks, to steering wheels, tires and speedometers, any of which can be applied to a variety of textiles including pillow cases, comforters, sheets, throw pillows, area rugs, and curtains. 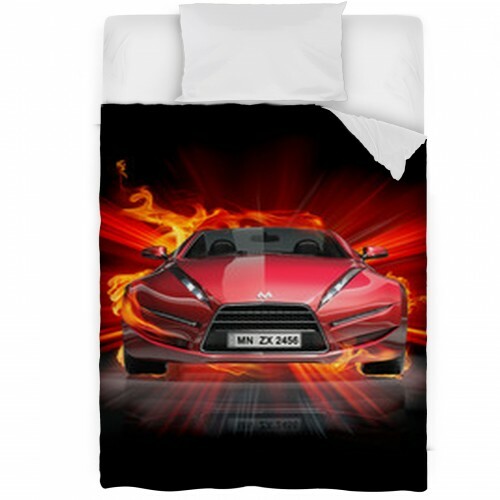 Vision Bedding’s Fire Car print, which can be added to bed sheets, throw pillows, or pillow cases/shams, as well as to area rugs and wall art. To give your bed a look completely personal to your style and interests, try creating custom designs for your sheets, comforters, blankets,rugs, and pillows. 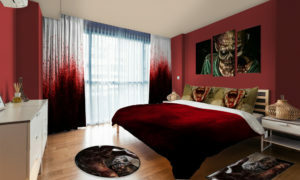 VisionBedding offers an option to upload any image you’d like, and have it applied to our selection of textiles. Using high-shine materials that mimic the finish of a car, like lacquered furniture or ceramic lamps, for example. Choosing wall art like black-and-white photos of famous drivers, blueprints of favorite vehicles, or the ever-popular cogwheel wall art. Using prints that conjure images of a racetrack, like checks. 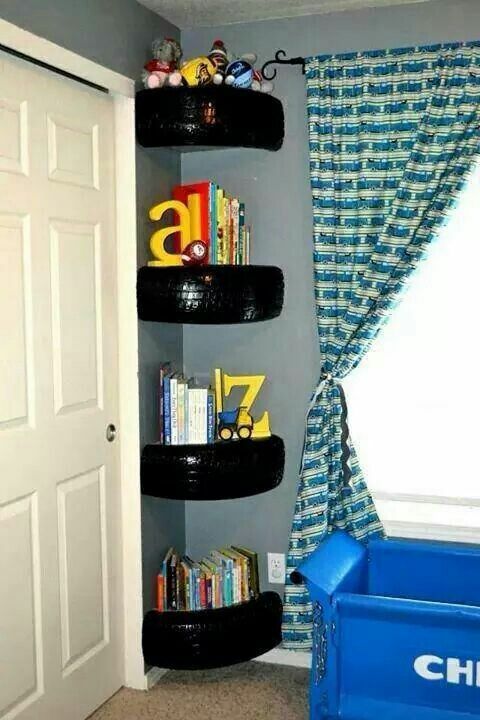 Using tires to create functional furniture and decor like shelving or bedside tables. Once you’ve got the furniture and bedding picked out, it’s time to add the fun. DIY accent pieces are a great way to ensure that your decor is one-of-a-kind, but also inexpensive. 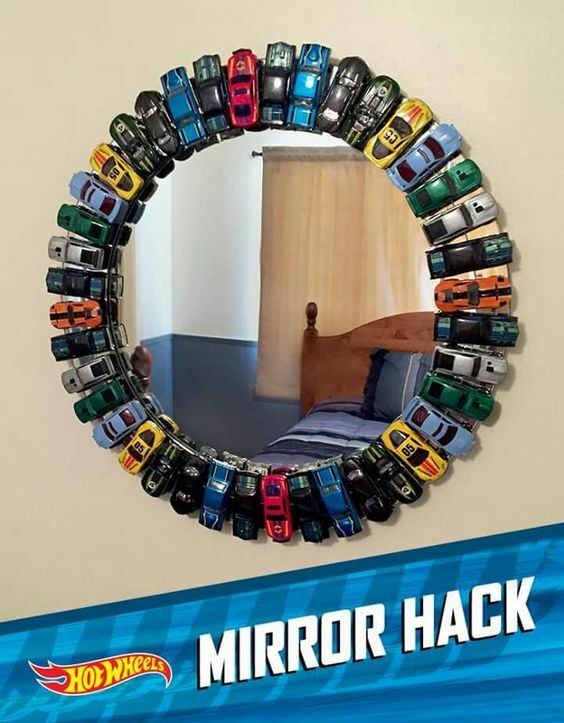 This fun design uses matchbox cars glued to a simple frameless round mirror. Another clever idea? 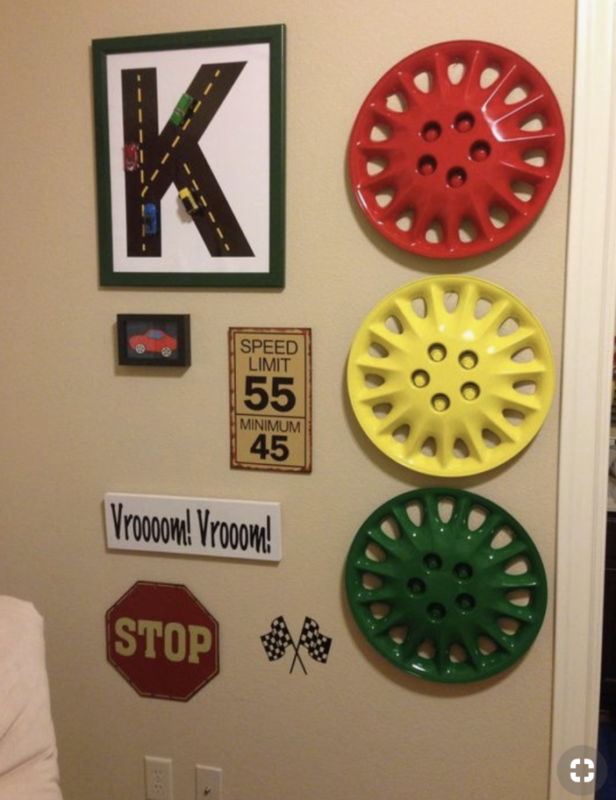 Spray paint hubcaps in colors to match your room design, as seen here in a space from krafty-k.blogspot.com. For easy wall art, try hanging vintage license plates (search for them at flea markets and thrift shops!) gallery-wall style, or as a trim or border at the top of the wall. Fancy a Porsche 911? Always wanted a vintage Chevy Camaro like your grandfather’s? Just love all things NASCAR? Your wall art is the perfect spot to showcase your favorites. 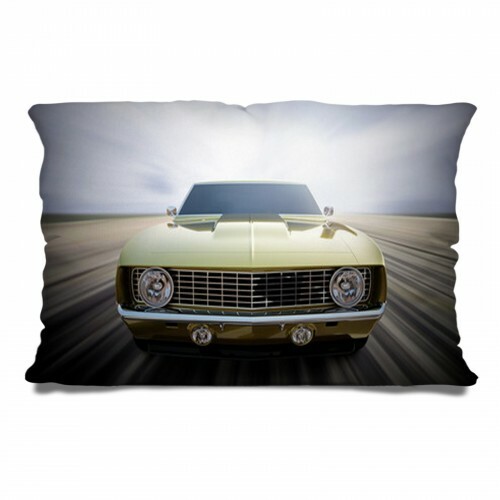 Using Vision Bedding’s customization option, you can upload a photo of a favorite car, trip to the racetrack, or your dream car to create unique wall art for your space. Our canvas wrap wall art comes in three sizes, 16″ x 20″, 20″ x “24”, or 24″ x 30″. Ready to get started? 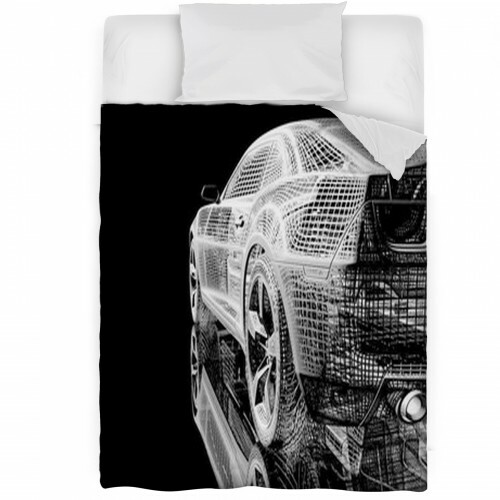 Click here to browse our collection of car designs for your bedroom.